As heroin and prescription drug addiction levels continue to rise at alarming rates in the United States, many emergency medical personnel are equipped to use a life-saving drug that reverses a fatal opioid overdose. Dr. Dipul Patadia, an emergency medicine physician at Advocate Good Samaritan Hospital in Downers Grove, Ill., says that naloxone, often sold under the brand name Narcan, has been used by emergency department and trauma physicians to treat overdose patients for years. “Naloxone can provide someone with a second chance at life. Within minutes, patients can go from being unconscious to talking,” says Dr. Patadia. According to the Centers for Disease Control and Prevention (CDC), 78 Americans die every single day from an opiate drug overdose. Half of those deaths occur from overdosing on opiate pain medications such as Oxycontin, Vicodin and Percocet. Heroin overdoses make up the other half. An overdose occurs when someone ingests more drugs than their body can handle. Opioids slow down the body’s central nervous system that controls breathing and heartbeat, according to the Substance Abuse and Mental Health Services Administration (SAMHSA). The user becomes unresponsive as their pulse becomes faint. In addition, their breathing is slow, shallow and has a “rattling” sound. 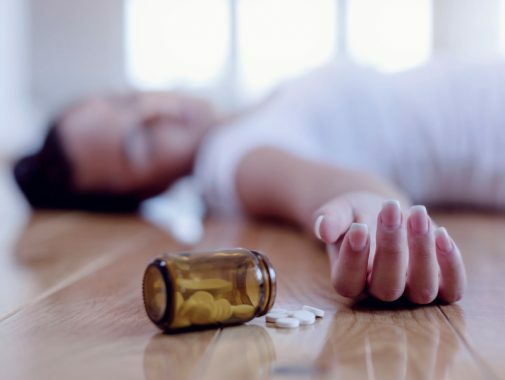 “It’s crucial to call 911 immediately because an overdose causes respiratory depression, which ultimately can lead to brain damage and death,” says Dr. Patadia. Naloxone can be administered by either injecting it into the patient’s muscle or by spraying it into their nose. “Within minutes, it reverses the effects of the overdose; however, it’s extremely important for the patient to get further medical treatment, as overdose symptoms can reoccur after the effects of naloxone wear off,” says Dr. Patadia. Since 1996, naloxone has reversed more than 26,000 opioid overdoses, according to the CDC. In February, the White House proposed $1.1 billion to fight the opioid overdose epidemic, including $500 million to help states expand prescription drug overdose prevention, increase treatment and expand access to naloxone. In Illinois, some police departments have trained officers to administer the nasal spray version of naloxone. In addition, Walgreens recently announced it will make naloxone nasal spray available without a prescription in its Illinois pharmacies by the end of 2016.